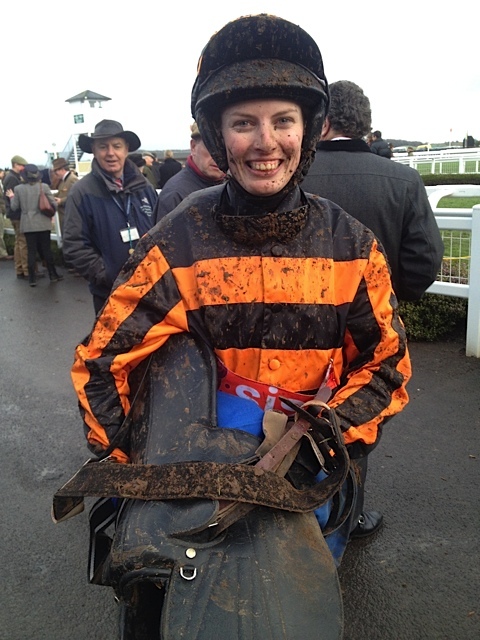 Many congratulations to Alex Dunn who enjoyed her first double of her training career at her local racecourse Taunton today with Helium and Come On Annie. Riding against professionals, Alex had to adopt very different racing tactics to enjoy both successes. Her first win was the result of a battle to the line with runner-up Chesil Beach Boy and she had to work hard in a driving finish to force Helium’s head in front. By contrast, waiting tactics and immense patience allowed Come On Annie to pass her rivals including long time leader Midnight Request. 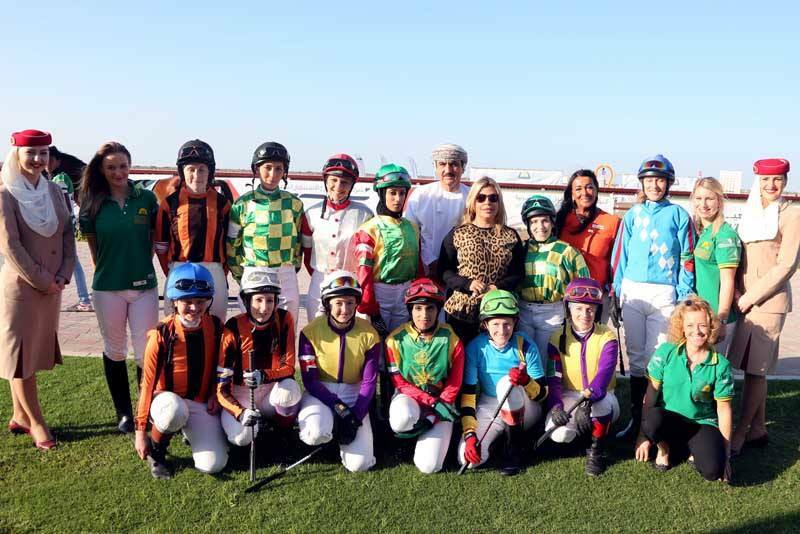 Thanks to the continued dedication and support of Lara Sawaya, the curtain raiser of 2014’s HH Sheikha Fatima bint Mubarak Ladies Arabian World Series was held on 17th January at Al Flaij Racecourse Oman where Michelle Edden represented GB. Unfortunately Michelle’s horse only managed to beat two others home but many congratulations to Evanna McCutcheon who won for Ireland. Aly Deniel will represent GB for the next race in the series to be held in Caulfield Racecourse, Melbourne, Australia on 1st February. ADDED PERK FOR AJA MEMBERS! The AJA are delighted to announce that thanks to kind agreement with all AJA members who hold amateur licences are entitled to a 50% discount on the cost of RUK even if they are existing subscribers. If you wish to take advantage of this offer please e-mail sph.oliver@btinternet.com for a form to apply. 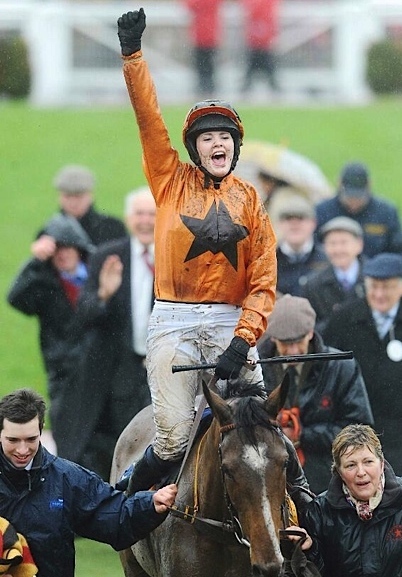 Well done to Lizzie Kelly and Will Biddick who won the first two races of the New Year at Cheltenham this afternoon! The first race of the New Year, run in atrocious wind and rain, was won by 20 year old university student Lizzie riding her mother’s AUBUSSON and in the process beating her hero, champion jockey Tony McCoy. Enjoying only her 5th win under Rules, Lizzie decided to take up the running from about half way which proved to be decisive in allowing her to steer Aubusson clear of his rivals and storm clear up the Cheltenham hill. The second race of the afternoon gave Will Biddick success when he won with MENDIP EXPRESS who was making his debut handicap appearance for trainer Harry Fry. Many congratulations to both jockeys!